Hard Rock’s Global Battle of the Bands Competition Gives Dubai’s Own The Boxtones the Chance to Take the Stage in Rome! DUBAI, April 28th, 2014 – With more than 10,000 bands entered worldwide, 418,000 votes submitted and 750 bands competing in live battles at 70+ Hard Rock Cafes around the world, the results are in and Dubai’s own The Boxtones has made it to the final round of Hard Rock Rising – the world’s largest battle of the bands competition! After battling it out with several of the area’s top bands at Hard Rock Cafe Dubai and beating out the competition during the global voting phase, The Boxtones is among the top winners from around the world and is one step closer to winning the chance of a lifetime – an all-expenses paid trip to Rome, Italy to perform at the first Hard Rock Live Rome music festival this summer! Second and third prize winners will each receive new music equipment and gear valued at $10,000. Local fans can vote once more for their favorite competitor to move into the Top 25 and help the Dubai band get one step closer to performing in Rome. During the final round, The Boxtones will compete against winners from 70+ other worldwide cities, via an online final fan voting phase to determine the Top 25 global bands. Fans can vote on the Hard Rock Cafe Dubai Facebook. The Boxtones has already received a taste of the rock star lifestyle in Dubai, and now has the chance to be judged alongside 24 other winners from across the globe. These local winners will be evaluated by a panel of celebrity judges and music industry professionals, including Steven Van Zandt, producer, songwriter, creator of the world’s most successful radio rock show “Little Steven’s Underground Garage,” founding member of the E Street Band and soon to be Rock and Roll Hall of Fame inductee; singer and hit songwriter Bonnie McKee, known for her hit single “American Girl” as well as hit songs for Katy Perry, Ke$ha, and Britney Spears; Scott Hutchison of acclaimed indie-band, Frightened Rabbit; Laura Taylor of Everybody’s Management, who currently works with Laura Marling and Mumford & Sons; Stone, guitarist of Taiwanese band Mayday and Hard Rock Records’ Artist Relations Executive James Buell, who will determine the grand prize winner and two runner-up bands. 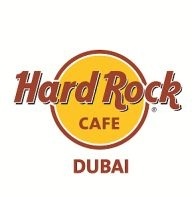 Visit www.hardrock.com/Dubai for additional details and ways to vote for The Boxtones for the final voting phase.